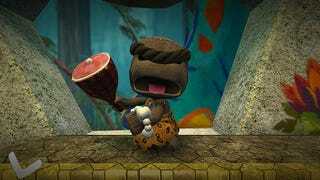 A new batch of beta trial invitations for LittleBigPlanet 2 were supposed to go out this month, and they did, but apparently they all contained the same key. Not only that, AFPO-VCHR-CODE looks like a placeholder. Either way, it's not valid, and those invited into the LBP2 beta went all triple down-button after entering it. Media Molecule, via its Twitter, says they're aware of the issue and working on a solution. No timeframe is specified.